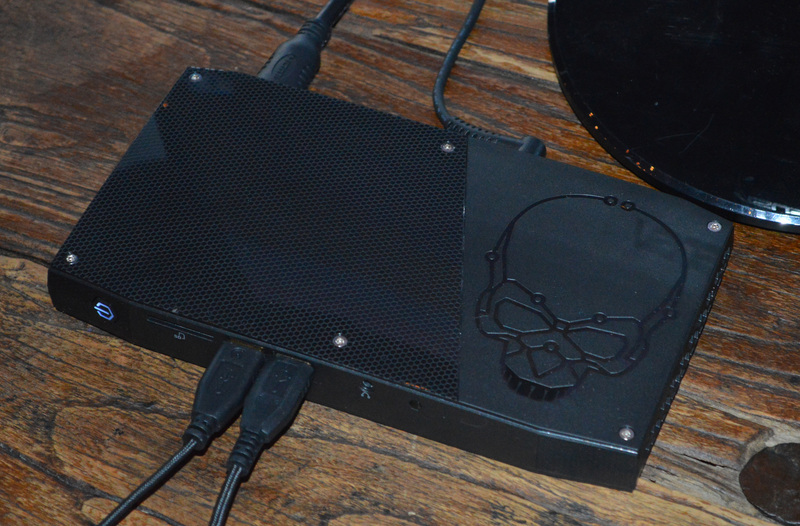 Back in January, Intel had provided us with information about the Skull Canyon NUC based on a Skylake H-Series CPU(with Iris Pro Graphics). Today, at GDC 2016, Intel made the specifications official. Pricing and availability information was also provided. Note that the HDMI 2.0 output is enabled by an external LSPcon (not Alpine Ridge). So, we will definitely have 4Kp60 output with HDCP 2.2 support over the HDMI port, making it suitable as a future-proof HTPC platform. From a gaming perspective, the availability of Thunderbolt 3 enables users to add an external graphics dock like the recently announced Razer Core eGFX module. Note that any external GPU will be able to talk to the CPU only over a PCIe 3.0 x4 link (which should be plenty in almost all cases). 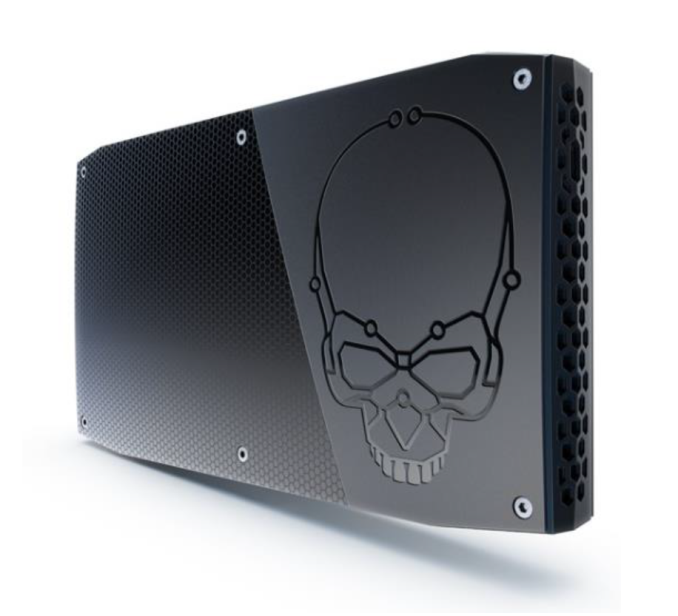 The Skull Canyon NUC will be available to pre-order on Newegg next month, with shipping in May 2016. I wish there was at at least 1 regular SATA3 port with space for a 2.5" SSD like the H versions of the regular NUC. Even if there was one less m.2 port. I wonder how well this will do at 45w in this chassis. I doubt it will stay in turbo very long. Wish it had 8MB cache. Can't wait to see this paired with a external GPU Chassis, and running a DX12 title that supports multi-adapter so we can use the iris pro's gpu with whatever we are running in the chassis. Disclaimer: I work for Intel on the team that developed this product.